Along with superhuman strength and agility, most demigods are also gifted with an extra-large and complex family tree, filled with gods galore. But what is family, really? Instead of trying to define demigods by their god-parents, we decided to explore the meaningful relationships between the demigods themselves in a map we’re calling Demigod Map of Relations & Ships. Check out all of the inter-mythological connections! 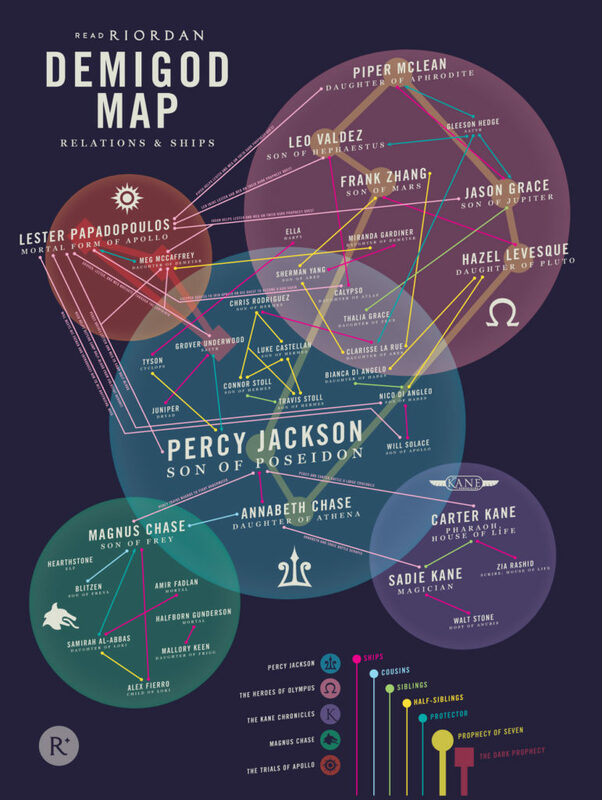 See how all of Riordan’s worlds connect in the Demigod Map of Relations & Ships. Are there any connections we’ve neglected to chart? Download the map here and print your own version!